JustKraft: Yyay!!! JustKraft featured in "Clours Dekor Blog"
Yyay!!! 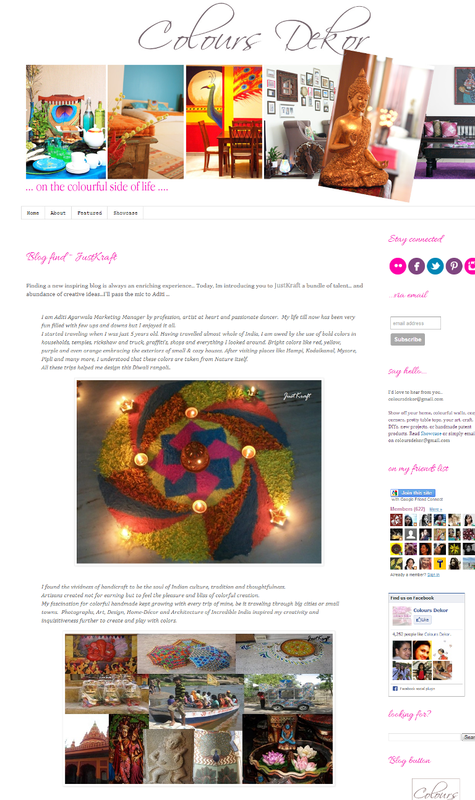 JustKraft featured in "Clours Dekor Blog"
Off late I am hooked to Colours Dekor blog as Patrica's prowess of making each idea unique through her posts is captivating. I am very excited and thrilled to see my blog on "Colours Dekor Blog". It is like Mecca of bloggers where they share anything inspiring and pretty.